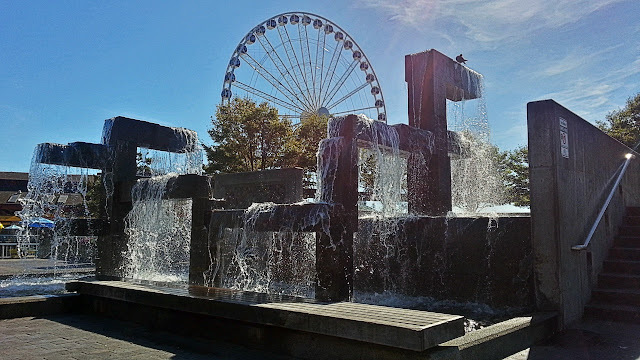 Seattle's waterfront ferris wheel didn't exist when we last visited the city so it was on our to-do list this time around. It's officially known as Seattle's Great Wheel. 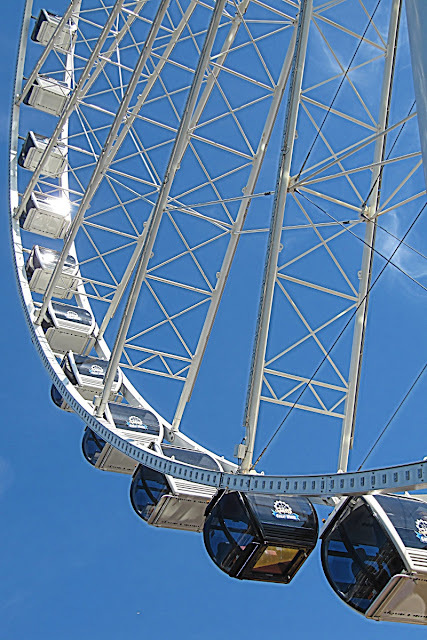 Riders are carried up 175 feet into the air in large air-conditioned gondolas.